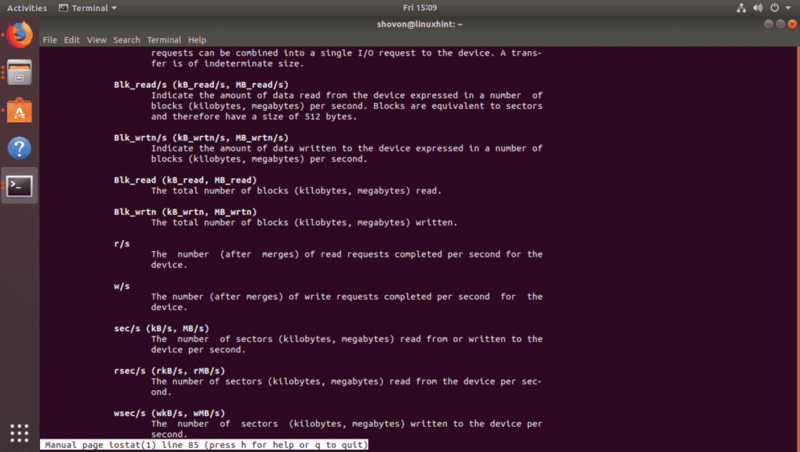 iostat is used to get the input/output statistics for storage devices and partitions. iostat is a part of the sysstat package. With iostat, you can monitor the read/write speeds of your storage devices (such as hard disk drives, SSDs) and partitions (disk partitions). 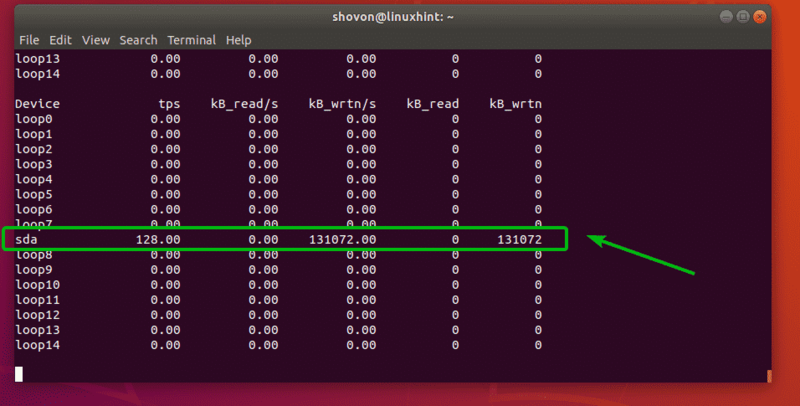 In this article, I am going to show you how to monitor disk input/output using iostat in Linux. So, let’s get started. The iostat command is not available on Ubuntu/Debian by default. But, you can easily install the sysstat package from the official package repository of Ubuntu/Debian using the APT package manager. iostat is a part of the sysstat package as I’ve mentioned before. sysstat package should be installed. iostat is not available on CentOS 7 by default. But, the sysstat package is available in the official package repository of CentOS 7. So, you can easily install it with the YUM package manager. Now, press y and then press <Enter> to accept the GPG key of the CentOS 7 package repository. iostat is not available on Arch Linux by default. But, the sysstat package is available in the official package repository of Arch Linux. So, you can easily install it with the Pacman package manager. 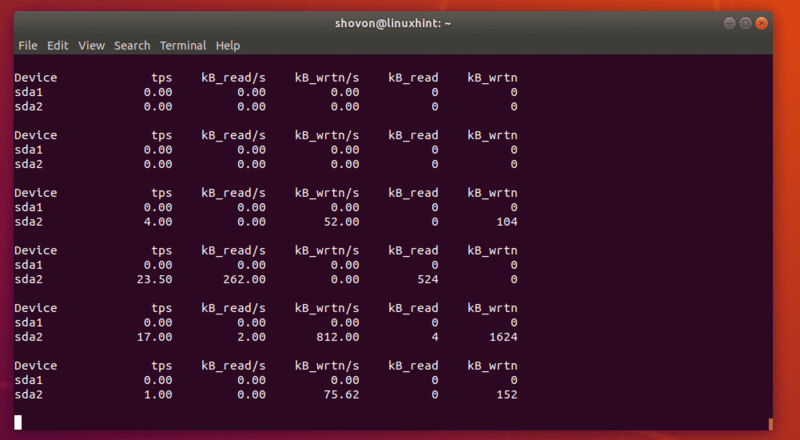 As you can see, iostat generated a report of read/write speeds (in kilobytes/second or kB/s) and total reads/writes (in kB) of every storage devices and partitions at that time. In the above command, iostat prints the statistics at the instance you ran iostat only. This is good for shell scripting and automation. As you can see, iostat is updating the report every 2 seconds. By default, iostat monitors all the storage devices of your computer. But, you can monitor specific storage devices (such as sda, sdb etc) or specific partitions (such as sda1, sda2, sdb4 etc) with iostat as well. As you can see, only the storage device sda is monitored. You can also monitor multiple storage devices with iostat. 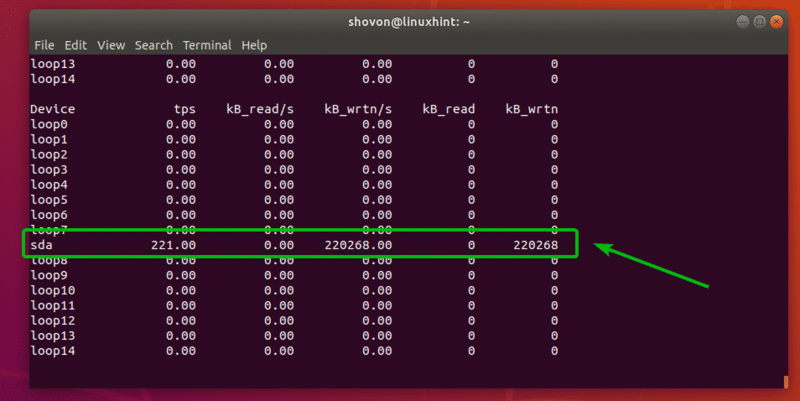 If you want to monitor specific partitions, then you can do so as well. As you can see, only the partitions sda1 and sda2 are monitored. You can monitor the LVM devices of your computer with the -N option of iostat. You can also monitor specific LVM logical volume as well. By default, iostat generates reports in kilobytes (kB) unit. But there are options that you can use to change the unit. For example, to change the unit to megabytes (MB), use the -m option of iostat. You can also change the unit to human readable with the -h option of iostat. 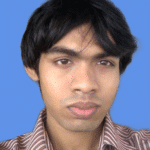 Human readable format will automatically pick the right unit depending on the available data. I copied as file and as you can see, the unit is now in megabytes (MB). It changed to kilobytes (kB) as soon as the file copy is over. 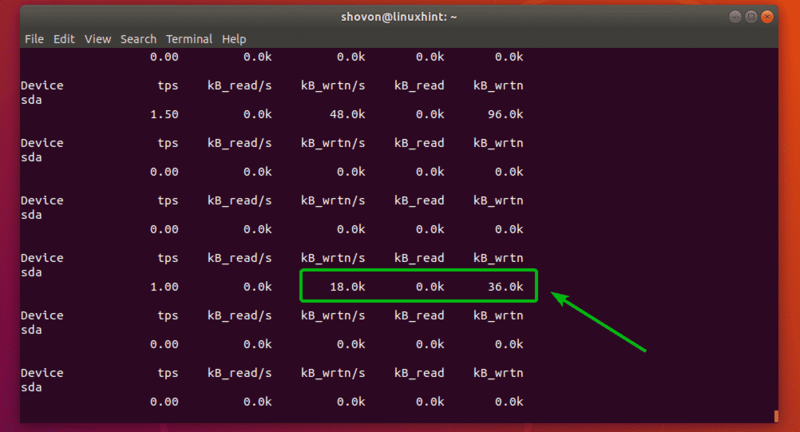 If you want, you can display a lot more information about disk i/o with iostat. To do that, use the -x option of iostat. You can find what each of these fields (rrqm/s, %wrqm etc) means in the man page of iostat. If you need more information on each of the supported options of iostat and what each of the fields of iostat means, I recommend you take a look at the man page of iostat. 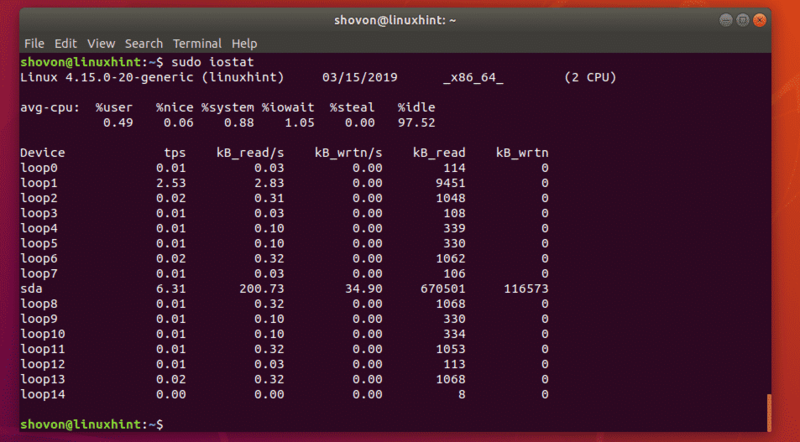 So, that’s how you use iostat in Linux. Thanks for reading this article.